This book/CD pack features 11 tanguitos (little tangos) and three milongas written for violinists who have already mastered the first position and are able to perform the tango with verve and inspiration. With Magical Mozart, beginners can experience the style and quality of the music of this master composer. From his extensive list of works some famous melodies have been selected, including from his symphonies and operas. The piano accompaniments have been recorded live on a real grand piano, and the CD also includes demo versions. Piano accompaniments are included for concert performances. 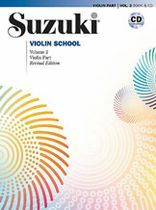 The 18 exercises and 32 pieces in this book – with accompaniments on the enclosed CD – provide a fine collection of material for further developing your violin playing using fourth and fifth position. With Positions 4 & 5 a sound basis is created, not only for playing in fourth and fifth position, but also for using these in combination with the first three positions. Various styles are featured, which adds educational value and makes studying more fun. 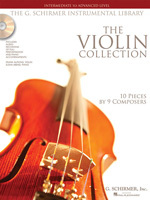 Solos appropriate for advanced high school students or college music majors, this collection presents staples of the standard violin literature. Contents: Allegro moderato from the Concerto No. 1 in A minor, BWV 1041 (J.S. Bach) • Presto from the Sonata No. 1 (unaccompanimed) in G minor, BWV 1001 (J.S. Bach) • Canzone from the Concerto for Piano, Op. 38 (Barber) • Allegro from the Sonata for Violin and Piano in F Major, Op. 24 (“Spring”) (Beethoven) • Allegro risoluto from the Sonatina for Violin and Piano in G Major, Op. 100 (Dvor?k) • Recitativo-Fantasia from the Sonate in A Major (Franck) • Molto allegro from the Sonata for Violin and Piano in A Major, KV 526 (Mozart) • Song from Tango Song and Dance (Previn) • Canzonetta from the Violin Concerto in D Major, Op. 35 (Tchaikovsky) • Theme from Schindler's List (John Williams). This book/CD set is the first method ever for learning Gypsy Jazz Violin in the style of St้phane Grappelli. Have you, too, often listened to Grappelli’s solos thinking “I wish I could do that, but it is way over my head?” Here is the answer. Simple theory, licks and stylistic lessons point you towards your first authentic Gypsy Jazz improvisations, which you can try out with the swinging guitar-bass playalong CD rhythm section. 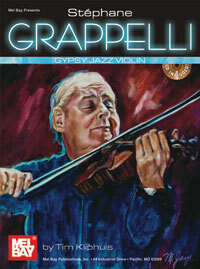 Then prepare to tackle six classic St้phane Grappelli solos, annotated and analyzed for your understanding. To grasp the finesses of sound and timing, there are many sample licks and solos by Tim Kliphuis on the CD as well. It is assumed the student reads music and has a basic command of the instrument. 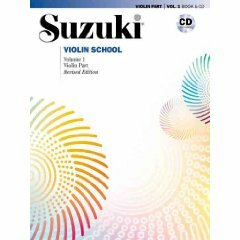 โน้ตไวโอลิน Suzuki Violin School Volume 1 - Revised Edition (Book & CD) Written By Dr. Shinichi Suzuki. Instructional book for violin. โน้ตไวโอลิน Suzuki Violin School Volume 2 - Revised Edition (Book & CD)write By Dr. Shinichi Suzuki. For Violin. String - Violin (Suzuki).